Do you need a closet dehumidifier? 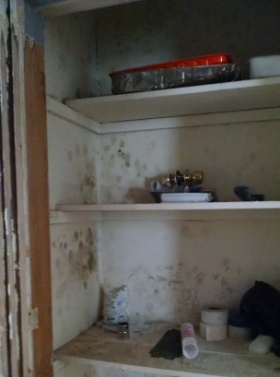 Well, if preventing mold in your closets is important to you, you might. No one wants to store valuable things in a closet, only to find they've been damaged by mold or mildew. We'll explain when you might need a dehumidifier for your closet and let you know what options are available. Do You Need a Closet Dehumidifier? The closet is in a basement, bathroom, laundry room, or other area of the home that tends to be damp or have high humidity. You store items in the closet that could be easily damaged by high humidity, especially expensive items like designer or vintage clothing, important papers, musical instruments, or tools. You store food in the closet (like a kitchen pantry). The closet feels damp to you. The closet has a musty odor (that odor is often an indication of mold, so in addition to getting a dehumidifier, you should inspect carefully for mold). You had problems with mold in the closet in the past. Is the Relative Humidity High in Your Closet? The purpose of a dehumidifier is to reduce humidity. In other words, it removes moisture from the air. If you have too much moisture in the air, you need a dehumidifier. If you don't have too much moisture in the air, you probably don't need one. There is a really easy way to know how much moisture is in the air and that is to purchase a hygrometer. A hygrometer is a simple device, usually battery-operated, which tells you the relative humidity in a room (or in a closet). To learn more about hygrometers, follow the link. For preventing mold, the U.S. Centers for Disease Control and Prevention (CDC) recommends keeping the relative humidity below 50 percent. If the relative humidity in your closet is greater than that, you need a dehumidifier. Here is more information on relative humidity in the home. Do You Need a Larger Dehumidifier Instead? In some cases, you might be better off getting a larger dehumidifier. If your whole basement is damp, for instance, putting a small dehumidifier in a basement closet is only going to address a tiny piece of the problem. You may need a larger dehumidifier that will take care of the entire basement, including the closet. But if you only need to reduce the humidity in a closet, wardrobe, pantry, cupboard, or similar space, then there's no need to spend the money on a larger dehumidifier. Follow this link for more information on how to choose the right size dehumidifier. We have two favorites, one for larger closets that have an electrical outlet and one for smaller closets and closets without an electrical outlet. Both are great choices for closets, pantries, and other small areas. The one that doesn't require an electrical outlet can even be used in a van or RV. For large closets with an electrical outlet, our favorite closet dehumidifier is the Eva-dry Edv-1100 Electric Petite Dehumidifier. It's great for small spaces. It runs quietly (definitely important if you need a dehumidifier in your bedroom closet) and it turns off automatically when the water collection bucket is full so you don't have to worry about the bucket overflowing. Of course, there aren't electrical outlets in all closets. For small closets and those without an electrical outlet, our favorite closet dehumidifier is the Eva-dry E-500 Renewable Mini Dehumidifier. You don't have to plug it in and it doesn't need batteries. It contains silica gel crystals that absorb moisture from the air and as the crystals absorb more and more moisture, they change color so you can tell when they have absorbed all the moisture they can. Here's our favorite part. You don't have to replace the crystals. Instead, you can dry-out the crystals in your mini dehumidifier by simply plugging it into any electrical outlet for about 12 hours. Then it's ready to use all over again. There is no water bucket to empty and no water that can spill. It's non-toxic and safe to use around pets and children. It couldn't be easier to use and it comes with a five year guarantee, though it often continues to work well for up to 10 years. Just follow the link to learn more and to read user reviews.